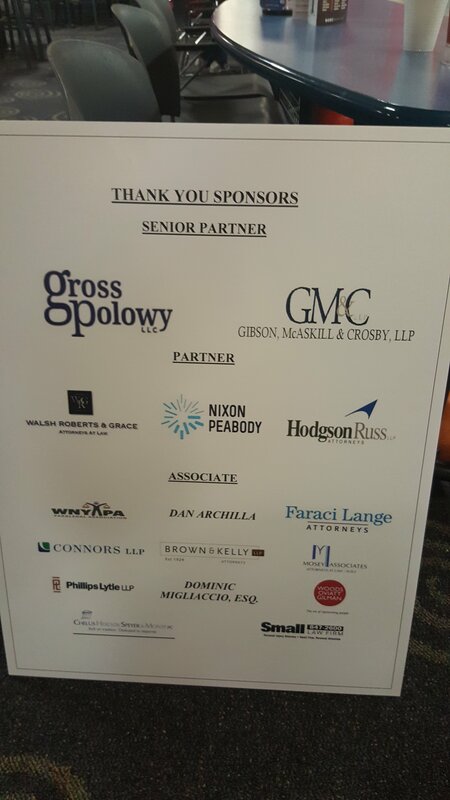 Gross Polowy will be participating in The Ride for Roswell. Race Day is June 24, 2017. With one in two men and one in three women in America being diagnosed with cancer in their lifetime, most of us know someone who has been affected by this devastating disease. Funds raised through outside donations and interoffice raffles held by the firm will support cutting-edge research and compassionate, innovative patient care programs at Roswell Park Institute. Check out our Team Page. Boys & Girls Clubs of Buffalo and Gross Polowy teamed up this year to collect backpacks and school supplies for kids in need across Western New York! Boys & Girls Clubs of Buffalo is committed to supporting academic success by providing school supplies through their 2 Pack a Backpack program, infusing education throughout their programs, building character and confidence in kids so they can succeed in school. (Williamsville, NY) July 15, 2016 – Gross Polowy, LLC of New York has hired Reyna Joyner as the firm’s Client Relations Manager. In this role Ms. Joyner is responsible for enhancing the Gross Polowy client service experience and maintaining successful relationships between the firm and its clients. With an increasing need in New York for exceptionally knowledgeable attorneys and responsive service, Ms. Joyner will be instrumental in consulting with both current and prospective clients to improve upon existing processes and build new ones that meet the changing requirements for a compliant, effective and efficient New York foreclosure process. Ms. Joyner comes to Gross Polowy with eight years of client relationship and business development experience representing legal services firms in the default mortgage servicing industry. She began her career in mortgage originations in 2002, holding positions in residential wholesale subprime lending and strategic planning at Fremont Investment & Loan, and Saxon Mortgage, a Morgan Stanley Company. Ms. Joyner will be based out of Dallas, Texas, in close proximity to the hub of the Default Servicing Industry. 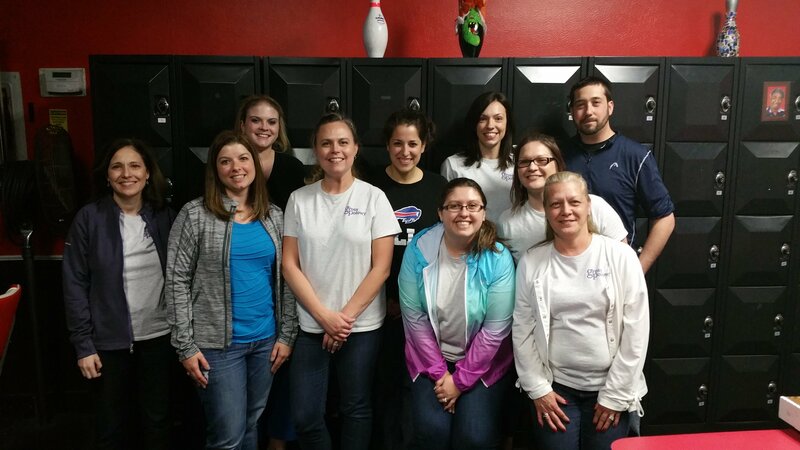 Gross Polowy, LLC assisted with sponsoring 2016 Lawyers for Learning Bowling Charity Event on May 19th. Lawyers for Learning (LFL, Inc.) is a not-for-profit corporation dedicated to providing a program through which members of the legal community of Erie County, New York, volunteer as tutors and mentors at School 18, a public grade school located in the economically-depressed West Side neighborhood of Buffalo, New York. School 18 has one of the highest rates of poverty among Buffalo Public Schools. The program provides volunteer assistance to students who are academically at risk and/or financially disadvantaged in order to improve their academic performance, build self-esteem, provide profession role-modeling and increase self-confidence. The program operates during the School 18 academic year (roughly September to June) and matches volunteers drawn from the entire legal community, including judges, lawyers, law students, court clerks, paralegals, court reporters, secretaries and other staff, with students ranging from first grade to eighth grade. Each tutor is assigned one or two children for the academic year, depending on the tutor’s preference. The volunteer tutor is asked to commit one hour per week to tutoring, principally in reading, writing, and mathematics. 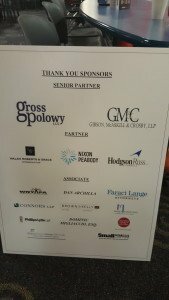 Gross Polowy, LLC has been voted 2016 Business First’s Best Places to Work! It’s a great honor for our firm and is attributed to all of the hard work and dedication from the Partners of the Firm, Amy Polowy & Adam Gross, Management Team, Supervisors and Team Leads. Over 150 companies applied and less than half were chosen. Business First Article: The company culture reflected as professional, responsive and client-driven. Some popular perks are casual dress everyday, ability to five back to the community by volunteering during the workday and/or participating in a Making A Difference Committee function and Bagel Day on the last Friday of every month. Gross Polowy, LLC will again be participating in the Ride for Roswell on June 25th! Funds raised through The Ride For Roswell support the cutting-edge research and patient care programs that benefit the 31,000 patients who turn to Roswell Park for hope. Donations are further used to improve the patient and family experience, support new clinical treatments and procedures and educate the next generation of cancer scientists and clinicians. Whether you have a bike or not – there are many different ways that you can be involved and help support the Roswell Park Cancer Institute. You can make it a family affair – invite your significant other and/or the kids to help benefit this great cause or sign up with a friend! You can also become a virtual rider online if you don’t have a bike and can’t participate the day of the event or feel free to volunteer and help at a local rest stop! Day of Volunteers are always needed! Help support the riders on the longer routes and provide water and snacks! Formed in 1977 as a Buffalo-based not-for-profit educational corporation, SABAH is dedicated to the mission of enriching the quality of life for individuals challenged by physical, cognitive, and/or emotional disability by providing education and therapeutic recreation, promoting fitness, and developing social and communication skills. On February 17, 2016, SABAH athletes and volunteers will have the thrilling opportunity to skate with some of their favorite Buffalo Sabres in support of SABAH’s programs! By participating in one or more of SABAH’s seven programs, SABAH athletes gain skills for independence and self-sufficiency, increase socialization, and improve coordination and balance. Boys & Girls Clubs of Buffalo and Gross Polowy are teaming up this year to collect backpacks and school supplies for kids in need across Western New York! Amy Polowy has been nominated by her peers to be a Rising Star as part of the Cystic Fibrosis Foundation. The event is an eight-week campaign that honors a group of young professionals who work to find a cure for CF through their careers. Cystic fibrosis is a devastating genetic disease that affects the lungs and digestive system. More than ten million Americans are symptomless carriers of the defective CF gene. When the Foundation began in 1955, most children with CF did not live to see their first day of elementary school. Today, the median predicted age of survival for a person with CF is in the mid-30s. This is remarkable progress, however, we continue to lose precious lives to CF every day. To learn more about CF and the CF Foundation, visit www.cff.org.